The ICOM IC-502A is one of those in between form factors. The size is like a mobile radio, but it allows battery powered operation, which makes it more portable or even handheld. 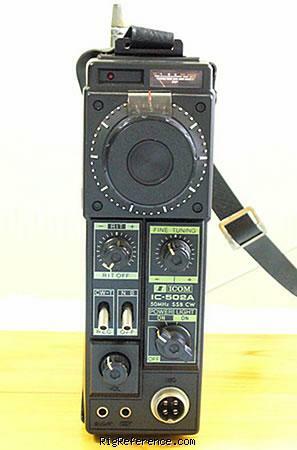 The previous model, the ICOM IC-502, which was introducted in 1975 suffered from frequency drift and was difficult to tune. The A model fixed both problems and was a very popular radio. 4 meters (70MHz) modifications exist for the IC-502A. The IC-502A was followed by the ICOM IC-505 in 1982. Estimating the value of a rig can be challenging. We collect prices paid by real hams over the years to help you estimate the current value of the ICOM IC-502A. Just bought or sold this model? Let us know what you traded it for and help other ham operators!